During my sophomore year of college, I discovered Cormac McCarthy. Assigned to read All The Pretty Horses in a class on “The Western”, it was a revelation, like reading sentences for the first time. McCarthy was one of the only modern authors--Jonathan Franzen and John Updike, off the top of my head--that I could place alongside Fitzgerald, Hemingway or Steinbeck. He turns grammar and language upside down and inside out, like a readable, more violent, less Southern Faulkner. I jumped on the McCarthy band wagon just in time. Within a few years, the Coen Brothers would turn No Country For Old Men into a Best Picture winner, The Road would win the Pulitzer prize, and Oprah picked McCarthy for her book club. In the mean time, I spent my time reading almost all of McCarthy’s oeuvre. Like All The Pretty Horses, The Road, and No Country For Old Men, Blood Meridian is on its way to a theater near you. (Eventually. I guess the project has stalled.) 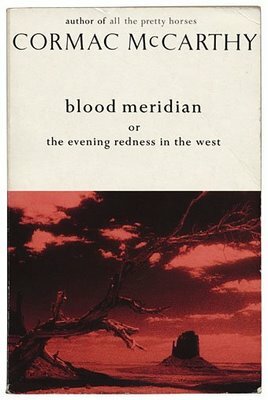 This news shouldn’t be surprising: Blood Meridian may be too violent, too Western, too expensive, and too rated-R to get produced. And I’m not that upset about this. The problem with film adaptions, as I’ve written before, is that great books don’t make great movies. Too much is lost in translation across mediums. For example, a great novel is usually filled with deep character insights, inner-monologues and motivation. Think anything by Henry James, Salinger or Updike. Blood Meridian wouldn’t have this problem, because McCarthy doesn’t spend too much time in his main character’s heads. But another problem with great-novel-to-film translations is that great novels describe the world, using language and metaphor to create a vision in the reader’s mind. A film shows you something, no mental creation needed. Whereas a book can spend a page describing a chair, a movie just scans past it. Blood Meridian would have this problem. One of the joys in reading a book by McCarthy is the joy in reading the prose of McCarthy. Finally, many classics are too large or unwieldy to mold into a two hour film. Blood Meridian definitely has this problem. But I have an idea to solve these problems: use the template given to us by Francis Ford Coppola. He successfully adapted one of the great books, Conrad’s Heart of Darkness, into the equally classic Apocalypse Now. How? Because Coppola took a handful of plot, character and theme, discarded the rest, and adapted it to the modern era. This is what should be done with Blood Meridian. 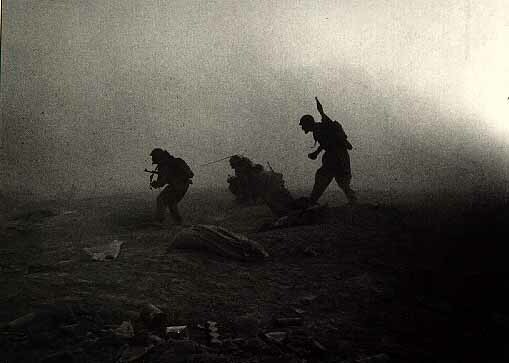 Adapt it to the Iraq war--or the war in Afghanistan, which could work better--turn the Glanton gang into military contractors, focus on the Judge, and keep the plot of a gang run amok. That’s gold, Jerry, gold! Now will this movie get made? Probably not. It would be less expensive, less violent, and less western, but now it would be about the modern war. Hopefully soon, war films start making money, because this is the film I would want to make. As you, your brother, and I have discussed several times, I love your idea for setting this in one of our current wars, but I think it would work as written, as well. I just don’t think westerns have the appeal they used to and most modern westerns haven’t done that well, with the exception of True Grit. Even True Grit probably has more to do with the Coen’s rising popularity and a strong desire to see good films in December than say, Westerns in general. I have told Eric I think we should do this in Afghanistan. That country just seems more like a Western anyways. Yes, I agree. It does seem to have more of the wild west feel. You know what has an even more wild west appeal? The border patrol? That would make a crazy/political take on that book. Or take The Crossing and put that on the border. One could probably quite easily compare the drug cartels to Glanton’s gang. I am glad this was posted because, coincidentally, I am reading Blood Meridian for the second time right now. It is single handedly the best novel I have read and the best. Even though a movie would introduce it to a whole new audience, I find it could never satisfy original fans no matter how it is adapted. The judge is nearly impossible to humanize and, as stated in the post, the prose is the backbone of the novel. P.S. : I read “Lone Survivor” a few weeks ago. I wish I had discovered this website before I wasted my time on that abomination. Not all Texans are like Luttrell in their views. 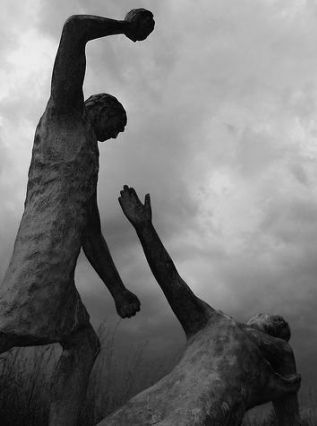 @ Evan – I agree with you on Blood Meridian’s stature. It is probably the most under-rated classic written in the last fifty years. I’m definitely curious for your thoughts on McCarthy’s other work.